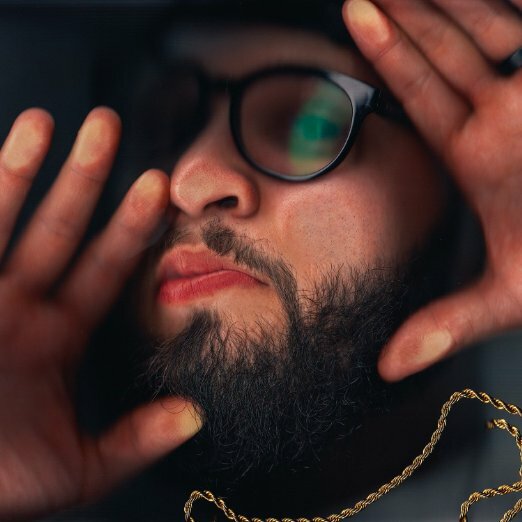 Today artist Andy Mineo debuts his highly anticipated sophomore album, Uncomfortable(Reach Records). The new full-length album, is currently #2 on iTunes Hip-Hop/Rap Charts and ranks #3 on iTunes overall charts. The first leg of the nationwide Uncomfortable Tour will begin October 1 and Mineo will be joined by rapper Propaganda. Dates for Andy Mineo’s nationwide Uncomfortable Tour are listed below. Uncomfortable, produced by !llmind (J.Cole, Drake, 50 Cent) is a 13-track album which includes the first single and title track, “Uncomfortable.” Hot New Hip Hop described the song as “consistently shape-shifting, moving from MBDTF-esque (My Beautiful Dark Twisted Fantasy) melodies backed by strings, to a straight-up rap number.” The second single off the album, “Hear My Heart,” which was released in August, first premiered on Sirius XM’s Sway In The Morning and then online with the popular music and entertainment site VIBE. “Hear My Heart” is a tribute to Andy Mineo’s deaf sister. Mineo announced the heartfelt song with a sign-language video, which left curious fans wondering what the rapper was cooking up. Mineo documents the process behind the making of Uncomfortable on his weekly YouTube web series, Saturday Morning Car-Tunez, directed by Francis De La Torre. The web series which gained a rabid following is now in its third and final season. Tomorrow, Mineo will reveal the final episode of Season 3, to the dismay of many devoted fans. Still, Mineo, who prides himself in having a close relationship with his followers, continues sharing inside tidbits to his life and album making process. Mineo created the Extended Experience via Instagram, where fans can explore an immersive website via Instagram’s tagging feature to see behind-the-scenes content for the thirteen tracks on the album. Reach Records, an independent record label, was founded in 2003 by Ben Washer and Grammy Award-winning hip-hop artist Lecrae Moore. Since its beginnings, the Atlanta-based label has sold over 2.7 million albums. Home to five artists, Lecrae Moore, Andy Mineo, Tedashii, Trip Lee and KB, Reach followers can be found worldwide. The overwhelming passion of the label is to change the way people see the world and they continue to push forward to make this passion reality. For more information on Reach Records, visit http://www.reachrecords.com. Posted on September 26, 2015 at 6:18 am in Louie Giglio	| RSS feed You can	trackback	from your own site.